Last month, Deadpool star Ryan Reynolds tweeted an image that raised a bunch of eyebrows. In the image, we were treated to Deadpool in a Christmas hat reading a bedtime story to an adult Fred Savage. A glaring homage to The Princess Bride, it also seemed to indicate that a new Deadpool project land sooner rather than later. 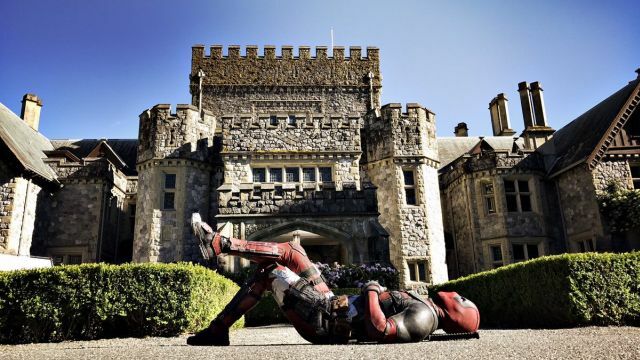 Shortly thereafter, we learned that this image was from an “untitled Deadpool movie”. It was then revealed that the framing device in the image would be used to create Deadpool 2: The PG-13 Cut. This might seem counter-intuitive at first glance. But in reality, this move actually primes Fox to make a boatload of cash off of the film. To understand why this thing exists in the first place however, we have to jump back. The theatrical cut of Deadpool 2 was released this past May to mostly positive fanfare. Even though the sequel earned over $734 million at the box office, it still couldn’t top the original’s success. In fact, Deadpool’s international box office grosses were diminished due to being banned in China, but we’ll get into that more later. While Deadpool 2 was certainly successful, it didn’t have as much of an overwhelmingly positive reception as the 2016 film. 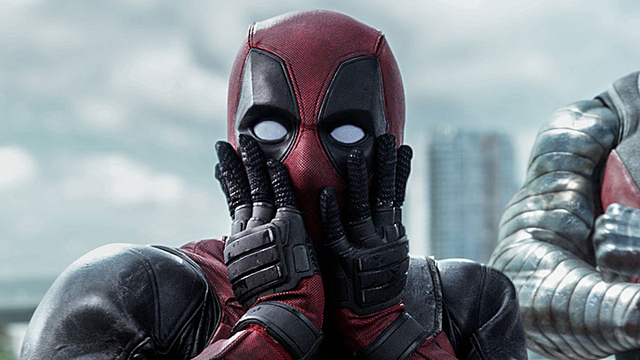 When Deadpool 2 hit home video, it came with a new “Super Duper Cut” that included 15 minutes of new footage. The glorified extended cut debuted at Comic-Con 2018, and was a welcome improvement to most of the theatrical cut’s issues. When this third cut of the film was eventually reported, it honestly just felt like a giant cash grab. There’s a lot of baggage to unpack here, leaving a couple of lingering questions. The most pressing question is how can anyone make a PG-13 version of Deadpool without stripping the character of what makes him unique? Is the forthcoming Deadpool 2: The PG-13 Cut simply a way of “auditioning” for the impending move to Disney? Although the first is a little bit more debatable, there’s not really a concrete way to rationalize the second. As Forbes points out, this movie is by no means a way of pandering to Disney’s audience. It’s about getting Deadpool 2 over the $800 million mark Internationally. Slashfilm recently spoke with the film’s writers, Rhett Resse and Paul Wernick, and they clarified what the movie would actually be. According to the duo, the PG-13 version of the film will feature some entirely new scenes, presumably to “appeal to kids”. Additionally, the two also confirmed that the movie’s plot would remain the same as in the previous versions. Later in the day, Collider’s Steve Weintraub reported that the PG-13 version of the film was “still shooting”. This leads us to believe that the filmmakers are still trying to justify Deadpool 2: The PG-13 Cut. Moreover, Weintraub also revealed the real reason behind why the cut even exists: the Chinese box office. With the Chinese box office becoming just as important as domestic receipts, international markets such as this have become more important to studios. As a result, Hollywood has recently tried to cater their films to the Chinese audiences. Due to its excessive violence, Deadpool was one of only four films that were banned from the Chinese marketplace in 2016. This has proved to be problematic for the franchise, since Chinese audiences are a key demographic for Marvel properties. In the past, American releases in the Chinese marketplace have been able to cut certain scenes to comply with censorship laws in that marketplace. As Weintraub so astutely points out however, fresh legislation just passed in China that requires the same domestic cut to be submitted for consideration to that marketplace. With this knowledge in mind, it seems logical to imply that the reasoning for Deadpool 2: The PG-13 Cut is to simply just make more money. Regardless of the reasoning behind the choice to make another version of Deadpool 2, we still have to wonder if a neutered version of the character will be accepted by moviegoers. People have already shelled out their hard earned dollars twice for what is essentially the same story. Yes, there are differences between the cuts. But the fact still remains that there’s something about Deadpool 2: The PG-13 Cut that just feels wrong. It’s not necessarily a cheat. since the filmmakers are putting in an effort to make it feel different. But it still seems rushed. 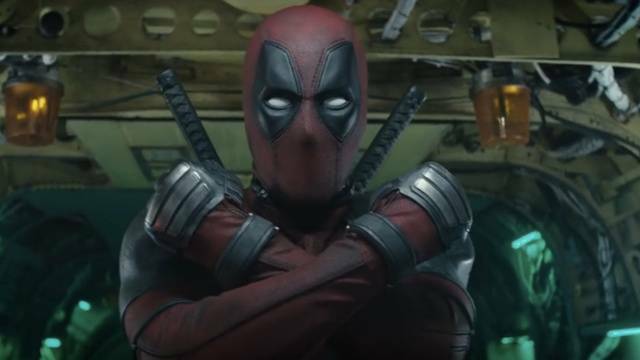 With a release date that was already set even before a frame of footage was shot, Deadpool 2: The PG-13 Cut has a massive time crunch to overcome. To play devil’s advocate, this could very well be an experiment that works. Truth be told, this is easily the most Deadpool-esque thing the franchise could do. As an exercise in storytelling, it’s fascinating to see how a story could be potentially re-worked to appeal to a wider (and younger) audience. At the same time, the prospect of a “new film” seems middling at best. Especially when you consider the quick turnaround on this project, it’s hard to believe that the filmmakers had a good reason to make it. Deadpool 2: The PG-13 Cut feels misguided at best. On one hand, a toned-down version of the Merc with a mouth really is a smart business move. On the other, it feels like a confusing decision in terms of the tone that the franchise has already established. Moreover, it’s been so haphazardly rushed into production that it almost feels forced. The success of a property like Deadpool is dependent on whether it can stay true to the established tendencies of the character. We learned this the hard way with X-Men: Origins Wolverine. That isn’t to say that Deadpool 2: The PG-13 Cut will be a travesty. But it certainly won’t be the same film that it was. There’s really not enough new information to make a judgment on whether the new cut is justified. Ultimately, Deadpool 2: The PG-13 Cut leaves the lingering feeling that Fox is simply trying to make as much as it can before the big merger with Disney. By appealing to still untapped markets in Asia, Deadpool 2: The PG-13 Cut could very well alter the direction of the franchise moving forward — and probably not for the best. Regardless of how this film plays out, it’s hard to deny that this new cut was made for anything other than a quick cash grab. How do you feel about Deadpool 2: The PG-13 Cut? Let us know in the comment section below!